What does one's life look like on paper? In hindsight? Through the eyes of a dear friend? 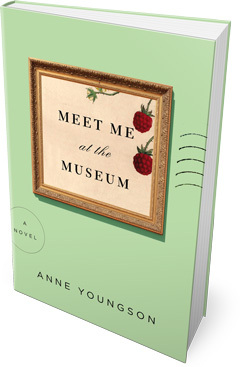 These are the questions at the heart of Anne Youngson's wonderful epistolary novel, Meet Me at the Museum. It begins with a tragedy: Tina, a middle-aged farmer's wife living in rural England, loses her lifelong best friend, Bella, to cancer. When Bella dies, so does Tina's dream to travel to Denmark to see the "Tollund Man," human remains from the Iron Age on view at a museum there. The anthropologist who discovered the remains visited Tina and Bella's school when they were children, and the Tollund Man became something of a mythic figure for the pair; to embark on a trip together to see him would be something like a joint religious pilgrimage. But without Bella, Tina cannot bring herself to make the journey. To discover why she feels this way, she writes a letter to the museum's curator. Doing so is an exercise in self-discovery--a kind of psychological self-analysis--and she doesn't expect a response. But she receives one. Anders replies to her missive because he can't help but correct some of the facts she gets wrong--he is at heart, after all, a museum curator obsessed with factual precision. But he doesn't write with hostility. On the contrary, he's intrigued by Tina's perspective on the Tollund Man and her vibrant word choice throughout her letter (his first language is Danish, not English). Thus begins a correspondence that lasts more than a year. This novel, Youngson's first, is structured entirely by their correspondence. With each letter, we learn more about Tina and Anders--about their families, their interests, their uncertainties about life. We watch as their intimacy grows and, along with it, a shared openness about what they regret most about their pasts and what they hope for the future. This is the rare novel that explores the nuances of adult relationships with clear-eyed insight. Their relationship can't be entirely categorized as either romance or friendship. That's the other question at heart here: Just how do they feel about each other? A detailed answer would spoil the novel's ending, but it's safe to say that what develops between them is at once beautiful, innocent and dangerous--it just depends on how one looks at their relationship, and who's doing the looking. The peripheral characters--Tina's husband, Anders's children--are present in most of the letters, but their views on the relationship are revealed slowly, in pace with the protagonists' self-revelations about how they feel. What makes this novel truly sing is Youngson's talent for writing highly individualized characters. From Tina we get expressive and well-written letters representative of a woman who's spent a lifetime reading but who has relied mostly on her imagination to travel the world. From Anders we get a perspective that befits a museum curator who is accustomed to travel, cultural experiences and life in a city. Yet there's nothing stereotypical about either correspondent. They transcend their status and cultural backgrounds by revealing surprising thoughts and complex opinions--indeed, their mutual sensitivity to the world and to each other's feelings is, at least in part, what makes each of them interested in the other. This novel is also about the evolution of families. As they muse about their children's successes and failures--and delight in the birth of grandchildren--Tina and Anders's letters become investigations of generational differences and proper parenting techniques. We learn that despite their best intentions, both live with lots of uncertainty about whether they made the right choices regarding their kids. And now that their children are grown, they hesitate to offer advice for fear of steering them in wrong directions. In these moments, the novel is perhaps at its most poignant. The two also discuss their regrets about marriage. Anders's wife, we learn, suffered greatly from mental illness and died a mere 18 months before his correspondence with Tina begins. He is still reeling from the loss. Tina married young--she became pregnant out of wedlock and was guilted by her family into marrying the baby's father. Her life ever since has been one of sacrifice, she writes to Anders. Neither letter writer ever comes across as overly sentimental, however--Youngson has given us two compassionate psychologies that feel as if they belong to real people. British author Anne Youngson worked in the car industry for many years, but she always wanted to be a writer. Meet Me at the Museum (Flatiron Books), her debut novel, fulfills that life-long dream. Written as a series of letters between an English farmer and a museum curator in Denmark, the novel sings with compassion and self-reflection. 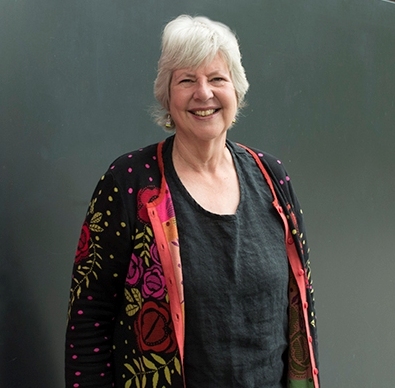 Youngson, mother of two and grandmother of three, lives in Oxfordshire, England. It is impossible for me to say where they came from. I knew quite clearly the sort of person I imagined Tina to be, her background and attitudes. As I wrote in her voice it became more and more familiar until I could be sure I understood just what she would feel and say in any situation. At first Anders's voice was a precise and factual counterpart to Tina's, but the story of his wife changed him into someone who was also caring and compassionate, perhaps slightly bewildered. The letter format helped to shape the people they show themselves to be as they write. What inspired you to use letter writing as the structure of this book? I began the book with a letter from Tina, looking back towards the end of her life and thinking about the girl she had been. When I started, I did not plan for the whole book to be in the form of letters, but the first letter needed an answer, and then it was only natural that Tina would write back. I did consider moving away from this format to narrating the story in a conventional way, but I felt it would put a distance between these two people, even if I had continued to use the first person. So I carried on, and found I was able to explore everything I wanted to say about them, their lives and their ideas, through the letters. This novel challenges a straightforward, overly simplistic notion of intimacy. Without giving too much away, what inspired these characters' evolution as friends? I believe intimacy, and the deepest friendships, are built on a shared understanding of what the other person thinks and feels so that a word or a phrase is enough, where someone outside the circle of two might need sentences of explanation and still not be on the same page. Julian Barnes put this much better than I can, when he wrote about his wife's death and regretted "the loss of shared vocabulary, of tropes, teases, short-cuts, in-jokes, sillinesses, faux rebukes, amatory footnotes." Through their letters Tina and Anders are developing this closeness, this shared vocabulary. Tina first writes to Anders about Tollund Man, a preserved human body from the Iron Age that actually exists. The Tollund Man, discovered in a bog, comes up many times throughout this book, and I was continually impressed by your knowledge of his remains. Are you interested in the Tollund Man or Iron Age history beyond what you write about here? I have always loved museums, and of course there are many Iron Age (and older) artifacts in museums, but it was a picture of the Tollund Man's face that inspired me, because of the miracle of its preservation and its wise and gentle expression. The bodies found in bogs show us that the people who lived then, and used the bowls and coins exhibited in so many museums, looked very much like us and therefore remind us--this might seem obvious but it is easy to lose sight of--that they were human, as we are, and must have had similar joys and fears, in a completely different environment. I have read extensively around bog bodies and, of course, visited the Tollund Man, which was a deeply moving experience. Have we lost something, as a society, by moving to electronic ways of communicating and away from writing letters by hand? I think we have. I envy anyone who still has letters written by family members who are no longer here; my own family was, for several generations, in the army, which means they moved, from country to country and house to house, and anything not essential to daily living was thrown away to make moving easier. So I cannot "hear" the voice of my grandparents or know what concerns they had, what news they shared with each other or their friends and family. I have a close friend who recently lost her husband and, because they spent some time apart before the arrival of the Internet, she has letters he wrote to her, and this is her greatest source of consolation. We may all stay in touch better than we used to do, because it is so easy to send a line or two by e-mail, but there is an intimacy to letter writing which has been lost. Both characters seem to learn a lot about themselves through the act of writing. What are your thoughts on this practice in the real world? Can writing help us to understand ourselves better?